LAKEVILLE, IN. 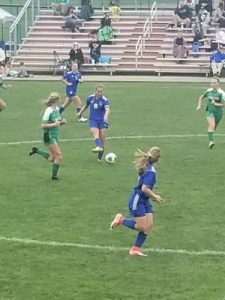 – The pairings for the 25th Annual IHSAA Boys and Girls Soccer State Tournaments were drawn and announced with 266 girls teams set for competition next week. 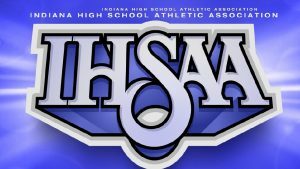 The IHSAA sectional round begins with 16 sectionals in each of three classes running Oct. 1‐6. Regionals will be played Saturday, Oct. 13, semi‐states are Saturday, Oct. 20 at four sites with the winners advancing to the state championship matches on Oct. 26‐27 in Indianapolis. LaVille High School will play host to the Class 1A, Sectional #35 girls sectional. One week later, LaVille will be the host school for the Class 1A girls regional at Newton Park. Coach Daniel Pleninger’s LaVille squad will open play in the first match of the Class 1A, Sectional #35 event at Newton Park. The Lancers (7-9) will face North Miami (6-5-2) and are the defending sectional champs from a year ago. Of the nine losses on the Lancer schedule, three were against Class 2A, No.7-ranked Mishawaka Marian and Class 2A, No.15-ranked Culver Academy, and Class 2A, No.17-ranked Plymouth – all on the road. A fourth loss came to Class 1A, No.13-ranked Argos. LaVille has played three members of the Class 1A, Sectional #35 field. 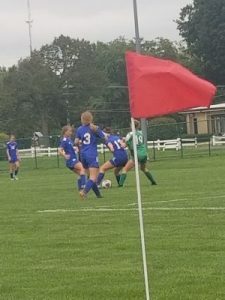 The Lancers defeated Bremen, 6-1, on August 16, dropped a 3-1 decision to Argos on September 13, and defeated Culver Community, 6-1, on September 19.